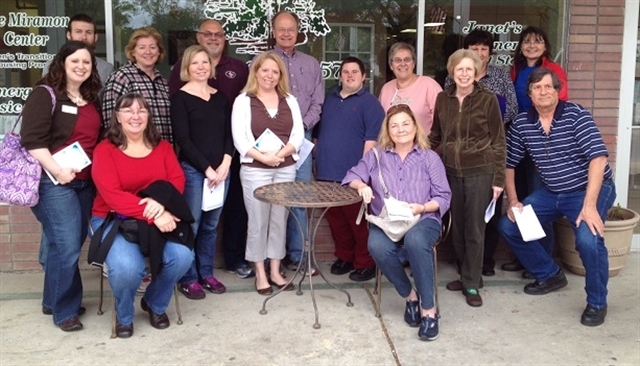 During a half-day Lenten retreat, members of Aldersgate United Methodist Church in Slidell participated in a pilgrimage to six nonprofits and agencies serving the surrounding community. 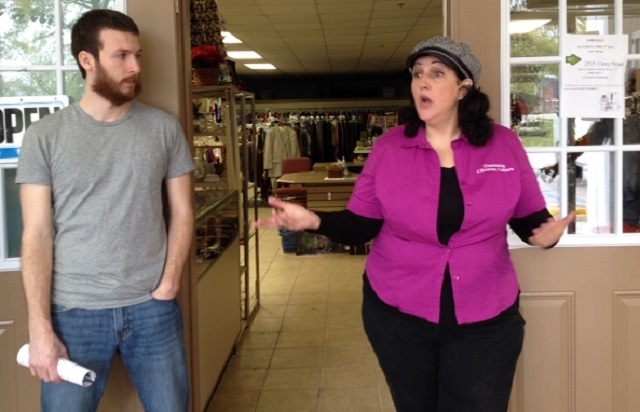 At each facility, participants learned about the focus of that agency (i.e. homelessness, poverty, hunger) and took time for personal reflection, closing with a prayer for the center. If staff from the agency were present, the group laid hands on them. The idea for the retreat was a spinoff from a worship and sermon series being used by Revs. Gary Willis and Lane Cotton Winn called "The Way." The idea for the series came from attending the Worship Design Studio that Marcia McFee hosted at The Wesley Center last October. During the retreat, participants received a passport book that was stamped at each site. The booklet also contained devotional and personal reflection materials like prayers, quotes, scripture and song lyrics specifically chosen to speak to the needs and people at each mission agency visited. There was also information in the booklet on how an individual can volunteer and get involved in the work of the agencies. “We spent the morning visiting and praying for helping agencies which are meeting the needs of the least, the last and the lost in Slidell. I was a great addition to our Lenten journey,” said Rev. Winn. 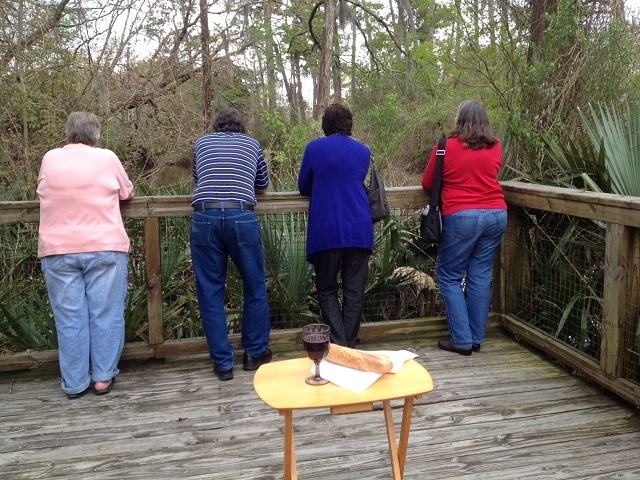 Pictured in the photos are the pilgrim group; Eric O’Quinn, Aldersgate’s youth director, listening to Debbie Schimmeck, director of Community Christian Concern; and a shot of pilgrims at the Camp Salmen Nature Park, where the group shared Holy Communion.